September 14, 2018 6:04 pm. New Tipperary has broken the winless streak at Newcastle. His exuberance was bettered only by that of his son Brave who is New Tipperary’s biggest fan and was on hand to cheer him home on Friday. 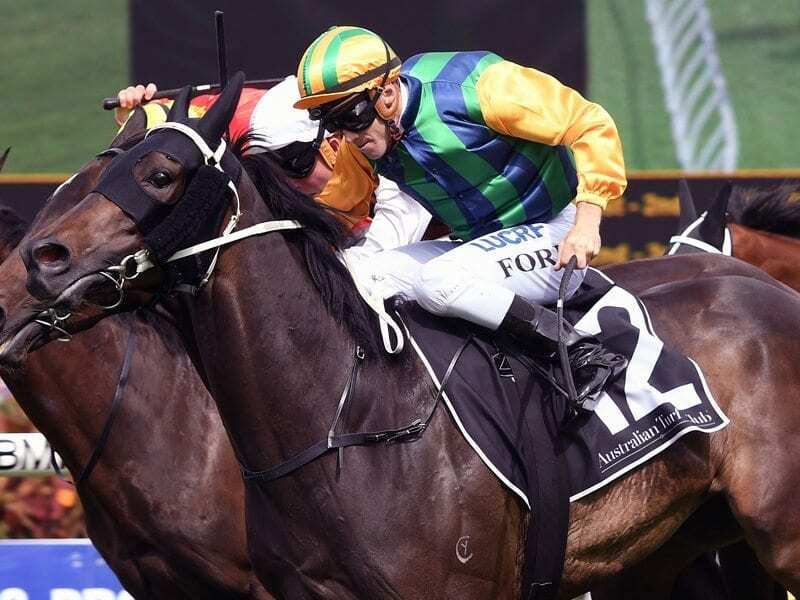 “The horse won a midweek at Warwick Farm and I got home and he said, ‘Dad that’s one of the best horses you’ve got’,” Pride said. He compared New Tipperary’s return to form in the Cameron Handicap (1500m) to the resurgence of his last-start Melbourne winner Ball Of Muscle who will take on The Everest favourite Redzel in The Shorts on Saturday. “It was right there with what Ball Of Muscle did the other day. They hadn’t done what you think they’re capable of doing in a few starts and to see them do it again just rejuvenates your faith in the horse,” Pride said. “I’m pretty confident he gets a run in the Epsom off the back of that. It’s not his favourite track, Randwick but I’ll have at look at it and see if it’s the appropriate race and timing after this run. Ridden by Tim Clark, New Tipperary finished strongly to overhaul Red Excitement by a length with Godolphin’s Best Of Days another three quarters of a length away. “He went well first up with the big weight and he always improves second up,” Clark said. “He was honest and brave as he always is,” Ryan said.